As limited editions go, it’s all a matter of taste, and the clear demonstrator design may or may not appeal to you (the Yamanaka’s barrel is intended to represent the glittering sunlight striking the waves of the lake). What is noteworthy, however, is the nib. 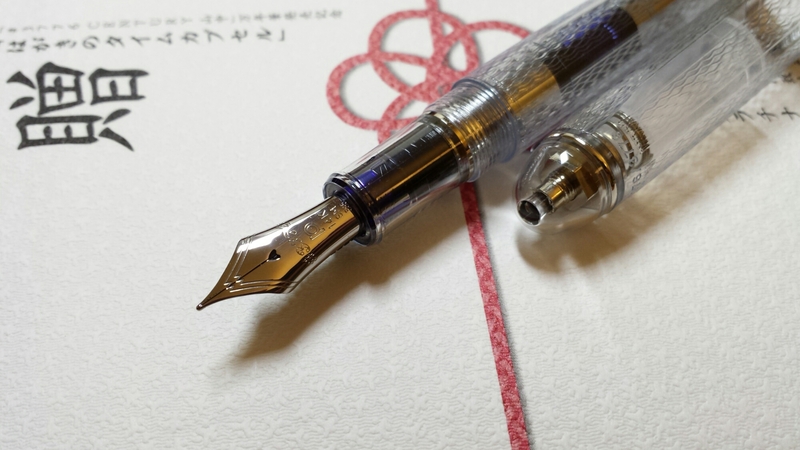 Platinum manufactures the nibs for their high-end Nakaya line, and as I understand it the Soft Fine and Soft Medium nibs have until recently been reserved for Nakayas only. The Soft Fine débuted in the current Platinum Century #3776 lineup several years ago; I had the chance to get it then, and it’s marvellous, soft but with a jaunty spring to it. 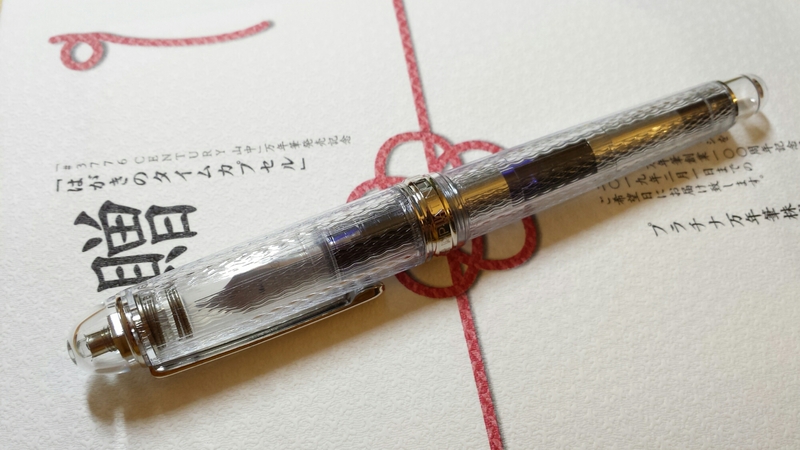 (The SF nib was also available for the Shoji.) Now the Soft Medium nib has been made available for the first and probably the last time within the Century line, along with the usual Fine, Medium and Bold nibs, with the Yamanaka. (According to stationery journalist Tsuchihashi-san’s review of the pen, soft nibs cost more to make because the plates need to be thinner; around the middle of his review, there is a picture where you can see the difference in shape between a regular M nib and an SM nib.) So this is the one chance to get a taste of the SM nib without paying Nakaya prices. SM nibs are said to account for 400 out of a total of 3,776 units manufactured; each pen comes with a serial number.